This recorded webinar describes why good documentation is so important and why contemporaneous documentation created by the stakeholders during the life of a construction project is even more important. The various ways that construction projects are documented and preserved for posterity during the course of a construction project will be described, and suggestions for making this documentation more fact-focused and effective will be presented. It will be shown how effective communications and documentation can increase the likelihood of resolving issues in a timely manner and without resort to the claims or litigation process. Real-life examples of both effective and not-so-effective communications will be presented. 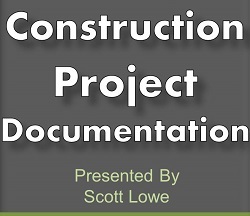 This presentation covers the following types of project documents: pre-construction documentation, standard records (meeting minutes, logs, RFIs), testing and inspections, communications (emails, letters, schedules), how to document oral conversations, and tips for effective photographs and videos. This recorded webinar is a must if you’re a contractor, public or private owner, subcontractor, construction manager, owner’s representative, architect or other design professional writing contracts or providing project oversight services. It would also be beneficial to the attorneys that represent these parties in disputes. J. Scott Lowe, P.E., is a Principal with Trauner Consulting Services, Inc. His experience resolving construction disputes gives him keen insight into the importance of project documentation. His expertise lies in the areas of construction claim preparation and evaluation, dispute resolution, critical path method scheduling, technical document development, contract administration, and cost analysis. He has directed and performed virtually all types of analyses, including delay, productivity and efficiency, including cost and the determination of damages, on varied projects throughout the U.S. and internationally. On many occasions, he has provided expert testimony at deposition, arbitration, and trial. Click here for the complete bio.